Drostanolone is produced under the trade names Masteron, Drolban, Metormon, Permastrin. It's an anabolic steroid. It is produced in the form of two esters: propionate and enanthate. Anabolic action of the drug is less than androgenic. Masteron is not aromatized, which prevents it from turning into estrogens. This effect allows him to be an aromatase inhibitor. By its biological indices it is equated to dihydrotestosterone and is produced from this hormone. 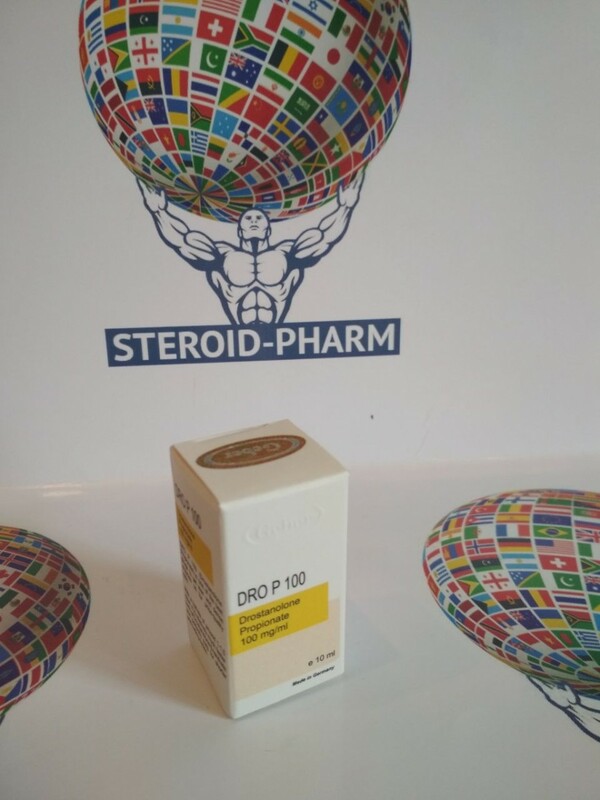 Drostanolol is released in vials of 10 ml of 100 mg / ml. In medicine, the drug is used to treat breast cancer. Influence on the relief of the body and the definition of muscle mass. Runners and athletes use the drug for weight maintenance in their weight category. It is good to use athletes to achieve firm and dense musculature, expressive muscles, fat burning. The fat mass decreases by about 5-7%. Strengths increase, but the body weight remains, and fat is burned. Such indicators of the drug attract powerlifters. Intake it before the competition. You can use it for weight loss during diets, as the drug keeps muscles and suppresses catabolism. The standard dosage for the optimal effect is 400-500 mg per week. Increasing the dose will not give the best results. A short chain of propionate suggests that you need to inject the drug 3 times a week, or every second day. DRO P 100 is widely combined with other drugs. High affinity for androgen receptors and properties makes it possible to use with Winstrol and Oxandrolone. This combination allows for a more pronounced synergistic effect for drying. Combination with Testosterone propionate is necessary for muscle mass gain. With a long period of taking the drug, enter gonadotropin, Trenbolone or Boldenon. This combination will allow to maintain the normal production of their own testosterone. Taking the drug Masteron gives positive results of pronounced effect and a set of muscles. Positive is the ease of injection and the rapid retraction phenomenon. Proper administration and dosage will not cause side effects. Most of the time, the Masteron course is conducted to improve the quality of the muscle relief and fat burning. Recommended safe doses of anabolic are 0.3 to 0.5 grams per week, but every second or third day is necessary to administer a steroid. The drug is able to significantly increase physical performance without mass gain, which makes it attractive for those sports disciplines in which there is a gradation in weight categories, say, power triathlon. The duration of the drug cycle usually does not exceed two months. Do not forget about the need for restorative therapy after steroid withdrawal. To do this, you can use tamoxifen or clomid. A few words need to be said about combined cycles. For drying, it is best to use Winstrol. If it is necessary to gain weight, testosterone esters will suit perfectly. Find online reviews of the drug does not seem difficult. Today it is often used in drying courses. It is on his powerful fat-burning properties athletes and accent attention. At the same time, they do not forget about the possibility of significantly increasing their strength.